Quick-drying, lightweight kids hiker with innovative ventilation/drainage system keeps water out for breathable, dry comfort whether on a boat or on trails. EVA cushioning is soft underfoot and harder on the outer rim for more stability. Upper: Climacool® open mesh for enhanced breathability. Midsole Climacool® ventilation/drainage through midsole sidewall with closed outsole for enhanced breathability and comfort. ClimaCool provides 360 degree cooling for the entire foot. Provides moisture management and ventilation and reduces unnecessary heat build up inside the shoe. Highly breathable mesh fabric ventilates and wicks perspiration away from the skin. 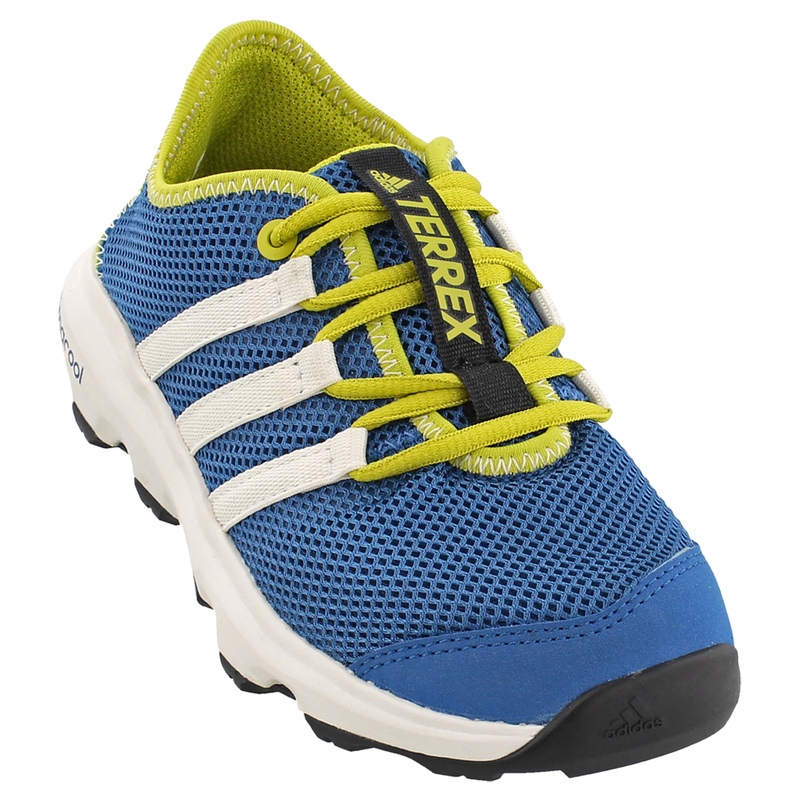 Outsole: TRAXION® - the perfect combination of stability and grip for everyday outdoor activities. TRAXION® stands for the optimal outsole lug pattern design for a certain outdoor activity... always in combination with the best appropriate rubber compound.